Twin Sharing @ $319 Per Person On Twin / Double Sharing. Twin Sharing @ $ 327 Per Person On Twin / Double Sharing. 4 Night's accommodation in above mention hotel. 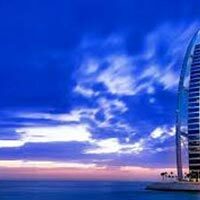 UAE Single Entry Visa + OTB. All tours and transfers on SIC basis including tickets. Note:- Rates are not valid during any Event/Exhibition Periods. v The rates are subject to available at the time of booking, All services/rooms are subject to availability, your earliest confirmation is highly appreciated. v Quoted rates are in USD and valid for Per Person only. There is no guarantee of room availability & rates. Kindly confirm & block the rooms at the earliest. v The above rates are Nett and non-commissionable, No rooms have been blocked yet. v Above quotation is valid only for this query and may vary in case the number of passengers change. Rates valid for 7 Days only. v Tourism Dirham Charge will be paid by the guest directly to the hotel. v Supplement of Govt. service tax for INR Invoice is 9.00 %. 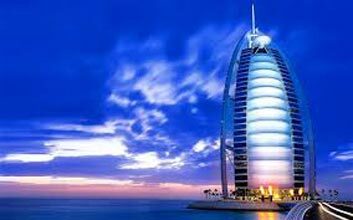 v Dubai visa is subject to Dubai Emigration,Sai Travels is not responsible in any case of miss-happening against arrival or rejection of Visas. We don't provide LUNCH during Abu Dhabi, Ferrari tour. Kindly note that Hotel Check- in time is 14:00 hrs. & Check-out time is 12:00 hrs. In case of an early arrival before the check- in time, Rooms must be booked from the previous night with the corresponding charges in order to guarantee an early check in. Late checkout is subject to availability. The above rates are Nett. and non-commissionable, No rooms have been blocked yet. Above quotation is valid only for this query & rates will be valid only for today itself and may vary in case the number of passengers change. All services/rooms are subject to availability at the time of receiving final confirmation from your end. The “TD” charge will appear as a separate line item on the guest’s invoice to be settled directly upon check out.